Corporations like to confuse royalties and taxes because they would rather not pay anything to government, regardless of merit or ownership. Royalties are “rents” says Gordon Laxter, economist and founder of the Parkland Institute of the University of Alberta. “Many think of royalties as taxes. Any government fee must be a tax. Wrong. Private woodlot owners and musicians collect royalties. No one calls them taxes. When governments collect royalties they aren’t taxes either. Royalties are one way to capture economic rents. Leases, ecological charges and corporate taxes are other ways. Government ownership of resource companies is the only way to collect all the rents,” he says in the Monitor magazine. By rents, Laxter means the profit from a piece of land or real estate. A tax is not that, it’s a levy on income. Royalties are rents, compensation for the use of public land. 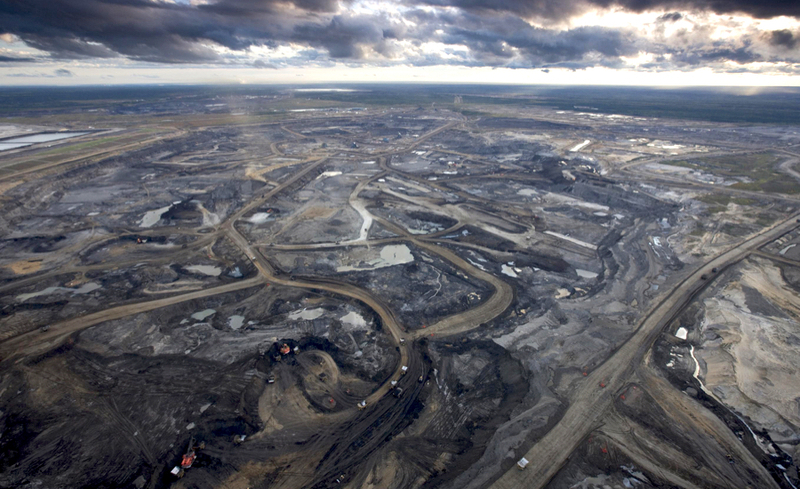 When Lougheed flew over the tar sands moonscape, he was being rhetorical when wondering who the beneficiaries were. As former premier, he knew that the beneficiaries were Big Oil and not primarily those who owned the land. Despite Lougheed’s pleading for Albertan’s to “think like an owner,” successive Alberta governments fell sway to the push from Big Oil who threatened to leave Alberta if royalties were increased. It was an idle threat, of course. Other governments, like Norway’s, impose higher royalties and Big Oil still continues to profit. Western provinces tend to think small when it comes to their economies. Like a young adult, no longer a teenager, provinces fail to think in grown-up ways. Western provinces have trouble seeing beyond living their parent’s basement and working at the equivalent of a fast-food restaurant – quick and easy natural resource extraction. Mel Watkins, one of Canada’s foremost political economists, foresaw adult economies in his 1963 “staple theory of economic growth.” Simply put, his three pronged maturation involved the export of resources only after they had been processed; then on to the production of finished products instead of importing them; and finally, mature economies which become self-supporting and not dependent on resource extraction. It hasn’t dawned on Western Canadians that we are there, at the third stage. We have cities with populations over a million; we are large enough to be self-supporting. Unfortunately, the quick-and-easy resource extraction mentality is hard to shake. B.C. Premier Clark imagines our future as the exportation of LNG and has lowered rents to please investors. The reality is that B.C. and Alberta have the population, the talent and ingenuity to complete the last prong of Watkins’ vision. We need to think like grown-ups.